Great Britain finished their 2013 World Championship qualifying campaign with a disappointing 40-24 defeat to Austria at Crystal Palace. 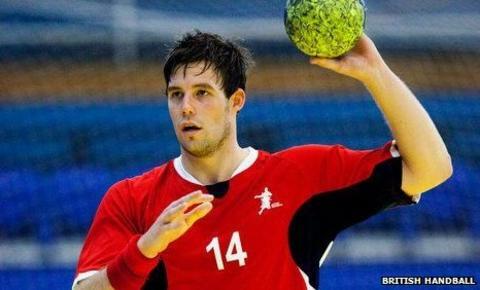 Despite losing Thursday's away match 37-22, GB drew praise for their performance from the Austrians. But Sunday's defeat ensured they finished bottom of Pool A. "I've put everything into my performances and all of the other lads do as well," Great Britain captain Bobby White told BBC Sport. "So when we're conceding soft goals on the counter-attack, it's difficult to take." The team, who were only formed in 2007, won their first competitive international match in June 2010 and have continued to make significant improvements. They defeated a strong Italian side at the beginning of 2011, but have struggled to produce consistently high performances. "Physically it's tough for us to be playing matches a few days apart, but at the Olympic Games it's going to be the same so we'll have to learn to deal with that," added White. Steven Larsson top scored for GB in the away match with six, but was heavily marked in the return and could only find the target twice. Team-mate Martin Hare fared better with six goals at Crystal Palace, but Robert Weber inflicted the greatest damage for the visitors, scoring 12 times. The Austrians will now play Israel twice in the coming week to decide who will top Pool A and thus reach the next phase of 2013 World Championship qualification. The next big challenge for the GB men's team will come at the four-team Olympic test event at the end of April. Unlike the women's competition, it will not take place at the Olympic handball arena, but in Crystal Palace.